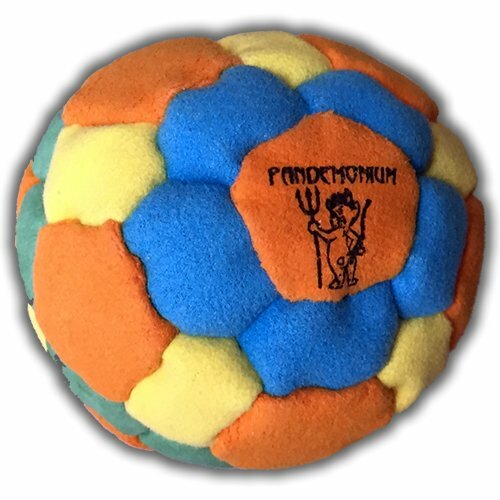 Neon Flux Footbag 42 Panels Hacky Sack All Around Bag Sand & Iron Weighted At 2.1 Onces by Pandemonium Footbag at Scruffs Game. MPN: 020. Hurry! Limited time offer. Offer valid only while supplies last. Great Sand and iron bag! This is NOT a glow in the dark bag, just a very 80's bag with a modern touch & filling!